We too own one of a handful of the original posters that remains in existence. 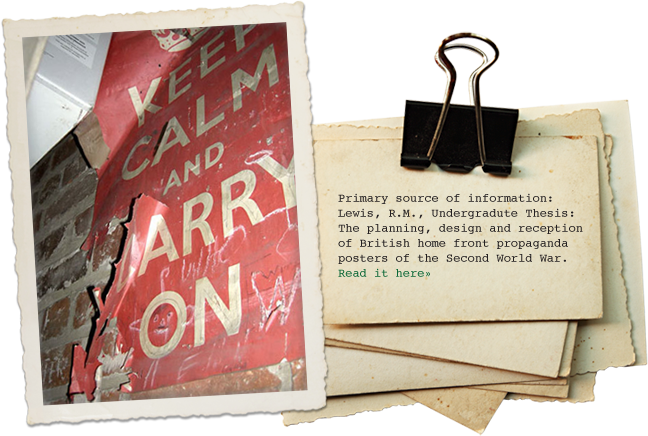 It was purchased at an auction of wartime memorabilia and which our products are a replication of. You can read more about the auction by clicking here. Check out our collection and order a reprint of the original design or make your own Keep Calm Poster with our Keep Calm Generator.